William Marshal was the true Lancelot of his era--a peerless warrior and paragon of chivalry--yet over the centuries, the spectacular story of his achievements passed from memory. Marshal became just one more name in the dusty annals of history. Then, in 1861, a young French scholar named Paul Meyer made a startling discovery during an auction of rare medieval manuscripts. Meyer stumbled upon the sole surviving copy of an unknown text--the first contemporary biography of a medieval knight, later dubbed the History of William Marshal. This richly detailed work helped to resurrect Marshal's reputation, putting flesh onto the bones of this otherwise obscure figure, yet even today William Marshal remains largely forgotten. As a five-year-old boy, Marshal was sentenced to execution and led to the gallows, but this landless younger son survived his brush with death and went on to train as a knight. Against all odds, Marshal rose through the ranks--serving at the right hand of five English monarchs--to become a celebrated tournament champion, a baron and politician and, ultimately, a regent of the realm. William Marshal befriended the great figures of his day, from Richard the Lionheart and Eleanor of Aquitaine to the infamous King John, and helped to negotiate the terms of Magna Carta--the first "bill of rights." By the age of seventy, the once-forsaken child had been transformed into the most powerful man in England, yet he was forced to fight in the front line of one final battle, striving to save the kingdom from a French invasion in 1217. 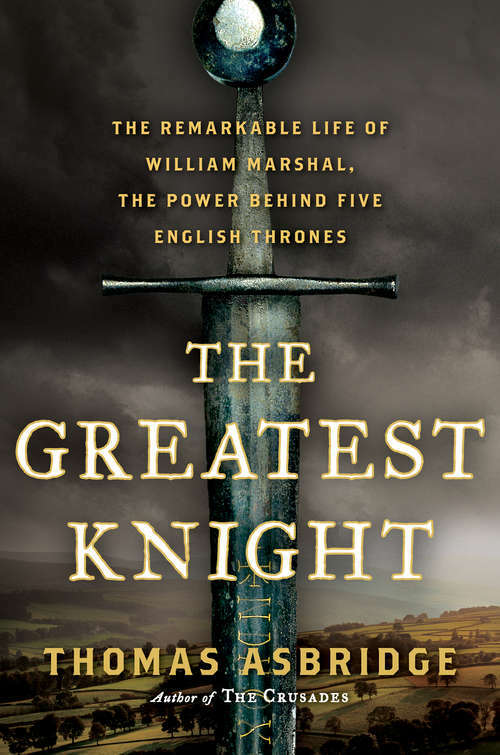 In The Greatest Knight, renowned historian Thomas Asbridge draws upon the thirteenth-century biography and an array of other contemporary evidence to present a compelling account of William Marshal's life and times. Asbridge follows Marshal on his journey from rural England onto the battlefields of France, to the desert castles of the Holy Land and the verdant shores of Ireland, charting the unparalleled rise to prominence of a man bound to a code of honor, yet driven by unquenchable ambition. This knight's tale lays bare the brutish realities of medieval warfare and the machinations of the royal court, and draws us into the heart of a formative period of our history, when the West emerged from the Dark Ages and stood on the brink of modernity. It is the story of one remarkable man, the birth of the knightly class to which he belonged and the forging of the English nation.